Hey, why are we driving up this long, windy road? Are you going to kill me and leave my body for the cows to eat? Hahaha, like that movie, right? But seriously, where are we going? Gravity Hill? Is this, like, where people go to take pictures for those lame wine country calendars with all the vineyards and stuff? I mean, it's a cool view and all, but seriously, I'm about to throw up if we don't pull over soon. Wait, what's this, why are we stopping? Why are you putting the car in neutral? OH MY GOD WHAT THE HELL IS GOING ON!?!?!?!?!?!? We are going backwards up the hill we just came down. Dude, what the hell is this? There is seriously no way we are going up the hill in neutral. Let me see your feet, let me see the shifter. No way. NO WAY! Are we gonna stop? Can we stop? Is this, like, some kind of backwards gravity thing where we are being pulled some way from, like, the earth's magnetic core or something? Do microwaves not work here either? This is freaking me out. Just stop the car. Oh man, that was nuts. Is this like that house where everything's slanted but you have to stand tilted to not fall down? Oh, it's not. What happens when it rains? Does water fall back to the sky from the ground? Do the cows here cluck and the goats go moo and the chickens speak French? This is some Twilight Zone business, man. Are you gonna do it again? Wait, let me drive. I don't trust you. I think you did something, like nudged the gas pedal or something. OK, right here? OK, it's in neutral. Are we . . . HOLY CRAP! IT'S DOING IT AGAIN!!!!!! Whoa, Whoa, WHOA! This is so weird. What makes it do this? An optical illusion? Like those magic eye things from the '90s? But it looks like this is a downhill slope. We came up a hill, and this is the spot where it dips down a little, and then the hill continues upward at the end of this section. But it's uphill the whole way? What do you mean, obstructed horizon? The hell is that? Can we do it again? 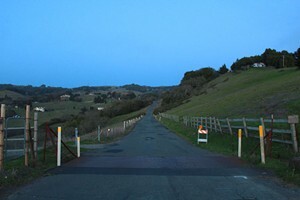 Lichau Road, just past the 'Gracias San Antonio' gate, Rohnert Park.—N.G. Everyone's wondered about the fiberglass horse in front of Doubletree Ranch and Saddle Shop on High School Road. What is its name? What is its breed? Has anyone ever tried to ride it? The answer to questions one and two are: Double Diamond, American Paint Horse. According to Doubletree owner Buzz Bozzini, the fiberglass steed is named after the ranch's late stud horse, Double Diamond Sue. The answer to question three is: Of course. Although Buzz and his wife Cookie ordered Double Diamond in the late '80s to serve as a roadside advertisement to their ranch, which has been operating since 1963, they soon learned that fiberglass horses do not come without drunk cowboys. "Every weekend at two in the morning I'd go out and find the guys coming from Marty's Top o' the Hill," Bozzini recalls. So he went to a local welding place and had Double Diamond mounted on four iron poles, out of reach of the inebriated equestrians. But even that was not without its own peculiar set of difficulties. "I was driving this thing through town," he recalls. "It looked like I had a dead horse in the back of my truck." 1005 High School Road, Sebastopol.—R.D. 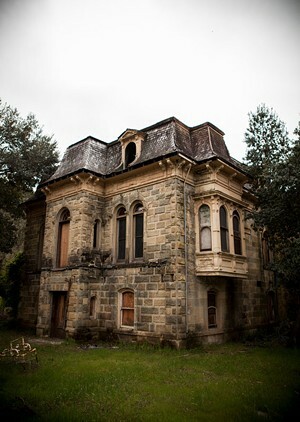 Once regarded as one of the most haunted hotels around, the Hatt Mill building has a spooky past—including ghost sightings of the late Captain Albert Hatt, who established the space in 1884 as a warehouse for fertilizers, feed and Napa Valley wines. Hatt's ghost is rumored to have lounged in Room 208 (of what's now known as the Napa River Inn), above Sweetie Pies bakery, where his son Albert Hatt Jr. reportedly hanged himself. Don't let spooky tales frighten you out of a night at this well-appointed, locally owned and operated joint. Mornings start right with fresh baked delights delivered to your door from Sweetie Pies, which should lay worries about boo-ful beginnings to rest. With the rise in popularity of Napa's riverfront and the hotel's walkable access to scene-stealers like Morimoto, Celadon and Angèle, the inn is perfect for a staycation—even your tail-wagging hound is welcomed like a captain in this haunt. Where else could you lay your head to rest in digs that have not only garnered a Three-Star Michelin rating and a Historic Hotel of America designation, but has been rumored to be haunted by a Prussian-born, wharf-owning sea captain? 500 Main St., Napa.—C.J. The great, bombed-out hulk of a building looks like something right out of war-torn Berlin, or modern-day Detroit. But this house looms above its neighbors on a pleasant residential street in modern-day Napa Valley—it's just briefly visible when driving south into town, from Foothill Boulevard. Up close, what is it that's so familiar about this house? The drooping, mansard roof and long, doleful windows call to mind the Bates House, from Psycho, or the residence of the Addams Family. Built in 1886 by James H. Francis, a local merchant, it was merely the McMansion of its day, but its Second Empire–style seems custom-built to spook. "An old, compact two-story structure soon will give way to a new, rambling ranch-style building that when finished will be one of Calistoga's major steps forward since the early 1900s," crowed the Napa Valley Register. In 1957. Not much has happened since then. Just before the meltdown of 2008, there was some excitement about a proposed "Francis House Inn and Spa." Today, although listed on the National Register of Historic Places, it stands gutted, a hotel for feral cats, behind three broken columns, like the detritus of some late Ozymandias. Stately 19th-century buildings like this had already become relics, shorthand for horror, by the 1950s. Now, it seems quaint, almost worth saving . . . almost, and we drive on by. Ask not what horrors await the terracotta Tuscan villas of today. 1403 Myrtle St., Calistoga.—J.K. Back in the 1950s, when men were men and women were not, public restrooms were as segregated as the South. Today, public places (malls, restaurants, interstate rest stops) are reflecting a few realities: Parents often have children of the opposite gender. Men sometimes change diapers. Women sometimes accompany disabled gentlemen into the lavatory. For transgendered folks, the choice between the men's room and the women's room can be a lose-lose proposition—and in certain parts of the country, a hazardous one. Gradually, we are seeing more gender-neutral variations of the standard restroom. Recently, the Northgate Mall in San Rafael and the Santa Rosa Plaza have installed "Family Restrooms," where adults are not required to rush their offspring past things they don't want them to see. Both malls also have private single-user rooms for either males or females. The classiest local example of this trend is at Healdsburg's elegant-moderne Spoonbar, where the opulent public restroom is gender inclusive. Yep. Men and women enter through a common doorway, and after using the fully enclosed toilet area of their choice, wash up side-by-side at the gorgeous trough sink, with real cloth towels! Sophisticated—and smart. 219 Healdsburg Ave., Healdsburg.—D.T. There are only three ways to get to Oakville from Santa Rosa. Two long ways and one way that looks, on the map, like it might be a shortcut. I used to think that it was. If you're only measuring by time saved, sure, then maybe it is a shortcut. Trinity Road starts out nicely enough, zipping through moss-covered oaks whose shadows pattern the grass of gently rolling woodland. Then it gets very, very steep. I remember this part. Right when Trinity crosses the Napa County line, this potholed, precarious stagecoach affair becomes smooth as silk—Napa property values, go figure—with guard rails, to boot, and then the descent begins. Or so it seems. Here's where it gets weird. There's more. A lot more. Maybe it's the distorting effect of the time crunch I'm in when I decide to take the shortcut, but it seems for a time that the road throws in an extra couple of hairpin turns that didn't exist before, just for me, just to stretch out the time. But when I pop out into bustling Napa Valley, after all that, I've shaved half an hour off the trip. Trinity Road off Highway 12; Oakville Grade off Highway 29.—J.K. 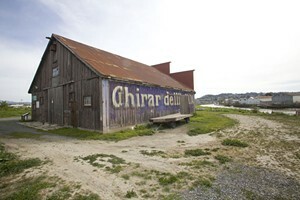 Standing on the McNear Peninsula, the Ghirardelli Barn is a structure that automatically triggers wonder, though not of the mystical-and-overpowering-awe-of-the-universe kind. It's more along the lines of, "Huh. Why is there a giant, purple cocoa advertisement right by the river?" Turns out the barn wasn't always in its current waterside location, where it acts as a heritage center manned by Friends of the Petaluma River (and as much-coveted shade during the annual Rivertown Revival festival). Built in 1907, it once guarded the corner of First and D streets in downtown Petaluma, but was moved in 2004 to make way for a parking garage. Long before its move—and before parking garages existed—it was known as the McKinney Livery Stable, a horse-boarding livery run by its builder John Grimes. In the 1920s, the large false front was sold and leased to veterinarian John Tierney, who set up practice there for 20 years. Still, several mysteries about the old barn linger. First, why is it called the McKinney Livery Stable? Though its name is printed on the front of the structure, McKinney never owned or leased the building. Second, why the giant purple cocoa advertisement? The bright painting had been covered up until the barn was prepped for the move, only then discovered in all its eye-popping glory. Perhaps the shadowy McKinney, a red-headed lass with a fondness for bright colors and an insatiable thirst for Ghirardelli cocoa, was the lost Irish love of Englishman John Grimes. Or perhaps there's a less interesting answer, one in which monetary loans were memorialized and product ads also brought in some coin. Whatever the story, you, too should head out to the Petaluma River, take a glance at the giant purple barn, and think to yourself: "Huh." Entrance on Copeland and D streets, Petaluma.—R.D. If you've ever turned from Highway 116 onto Neely Road, you've seen the Mad Mouse. But the shaky-looking roller coaster frame isn't the only ride rusting away into the weeds at J's Amusement Park, which closed in 2003. There's also an old scrambler, red paint flaking off in chunks, and a Go Kart with blackberry brambles creeping onto the track. Founded in the '60s by Jay Skaggs, the whole park has the look of something forgotten, neglected and, of course, haunted. Which is perhaps why there's an annual haunted house at the crumbling fun zone, Dr. Evil's House of Horrors, featuring actors, coffins and old refrigerators splattered with blood. The October Friday-and-Saturday fright fest takes advantage of its carnival backdrop to lure unwitting visitors into a snaking labyrinth full of ghouls and ghosts. Lost America, the website that photographs all things abandoned, swears that even on a regular night, ghostly presences can be felt amid the still rides and pavement cracks. 16101 Neely Road, Guerneville.—R.D. 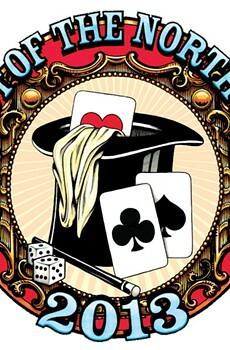 Like a game of chess with the element of chance playing a huge factor, Magic: The Gathering is a card game for Dungeons & Dragons aficionados to put their knowledge of mythical, Tolkien-esque worlds to good use. As a former MTG player, I know the value of a 4/4 flying creature and the pain of a well-played effect forcing the discard of my best enchantment before it's even been played. But I stopped playing in middle school and sold the cards for cheap, apparently just before their value skyrocketed. These collectables are also fun to play, and there are now dozens of versions and variations of the game. In fact, I know without a doubt that some of those same dudes who made fun of us for playing now gather themselves to see whose deck is the best. It's possible we saw the future of cool and were just too eager to be cool. Oh, how the times have changed. Magic: The Gathering tournaments are held every Friday at Gamescape North (1225 Fourth St., San Rafael), several days a week at Outer Planes (519 Mendocino Ave., Santa Rosa) and many other comic book shops and dorm rooms in the North Bay.—N.G. In Calistoga, just paces from where the linen-clad, massage-oiled, wine-sipping tourists browse the shops on Lincoln Street, sits a little-known portal to Russia. 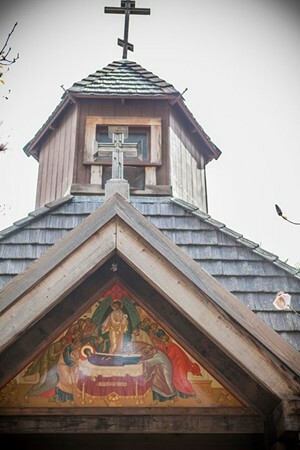 Perched beside the lazy Napa River on a slice of pristine real estate, Holy Assumption Monastery is proof that heaven, in various forms, does exist on earth. Founded in the 1940s by a group of nuns fleeing their native Russia and China in search of religious freedom, the Orthodox monastery is indeed a sanctuary. But you needn't wear a habit to seek refuge inside the tiny, dimly lit chapel adorned with gilded icons and rich embroidery—visitors of all stripes are welcome. In a time when church and scandal too often go together like bread and wine, the monastery is a nice reminder that not all sects of Christianity bear the same cross. When my husband and I happened upon the place one spring afternoon, we were given a brief philosophical history lesson and invited to linger on the grounds, abloom with roses, lilies, red hot pokers and clematis climbing up the thatch-roofed bell tower. In addition to 11 nuns and a handful of well-fed cats, a few alliterative animals also call the recently renovated monastery home, including Pulgita the bunny and Pixley the cherry-headed rescue parrot. Perhaps the most stunning creatures are the koi, slicing through the water like fat glittery coins. A few minutes spent sitting next to their rectangular pond beneath the blooming arbor has the same effect as a bottle of Pinot and a soak in a spa. But in this case, we haven't spent a dime. 1519 Washington St., Calistoga.—J.D.T. No one knows exactly how it works, but "the Works" is still working it after all these years. Mud, once thought of as merely a playground for piggies, first rose to holistic highs in 1952 when chiropractor John "Doc" Wilkinson founded Dr. Wilkinson's Hot Springs Resort in Calistoga. His signature service—"the Works"—went for $3.50, and bought a slippery delight of a day filled with mineral whirlpool baths, steam room, mud bath, blanket wrap and massage. Except for the price, not much has changed in the last 60 years when it comes to Doc's magical, muddy brew that has been healing weary bodies for decades. Though son-and-daughter duo Mark Wilkinson and Carolynne Wilkinson-Clair, who now run the resort, prefer to keep the magic of the mud a secret, they can be cajoled into acknowledging a couple choice ingredients: locally obtained volcanic ash and organic peat (known for its buoyancy and better heat penetration) imported from British Columbia. Turns out the stinky stuff isn't just relegated to Wilbur and his web-spinning cronies. The resort has hosted such luminaries as Robin Leach of Lifestyles of the Rich and Famous (who hosted a segment at the resort), Robert De Niro, Alicia Silverstone and baseball legend Willie Mays, who all soaked in the sloppy stuff. Now you can, too. 1507 Lincoln Ave., Calistoga.—C.J. When the Copperfield's Books used annex closed in Sebastopol, West County was left with a void. Then Mockingbird Used Books came along. The used bookseller has a selection of books wide and diverse. In the many times I've perused their shelves, I've found a coffee-table book on beautiful chickens—fittingly called Beautiful Chickens—a cookbook devoted solely to herbs, a book by David Sedaris about Christmas and a book by his sister, Amy Sedaris, on how to get people to like you by making them food. It's this eclectic selection, perhaps, that inspired you to award them an honorable mention as Sonoma County Used Bookstore—aided, no doubt, by the relief that another used bookstore saved the day in Sebastopol. 6932 Sebastopol Ave., Sebastopol.—R.D.